Imagine a weekend where you can go and chill in the woods, rock out at a music festival AND do yoga, meditation, and dance as well as indulge in treatments like massage and reflexology? Sound heavenly? On top of this there will be workshops of all descriptions and talks ranging from quitting your job and making life changes to spiritually driven atheism. And of course health and nutrition. Which is where I come into the equation. Along with co-author, nutritionist Fleur Borelli, on both the Saturday and Sunday, I’ll be talking about the very latest research on diet and nutrition as set out in our book The In-Sync Diet. Looking at diet from an evolutionary view point, we explore how to eat and exercise for optimal health and weight loss. How to increase energy, burn fat efficiently, improve sleep and enhance general wellbeing and fitness. We’re so happy to be part of this wonderful festival and can’t wait to partake of all it has to offer along with everyone else. There are yoga classes of every possible description from paddle boarding yoga (yes really) to acroyogadance (no I don’t know what that is either) to normal yoga flow. There’s something called a Voice Bath, a group meditation that uses sound as healing, which I think sounds rather wonderful and there’s all sorts of meditation and mindfulness. 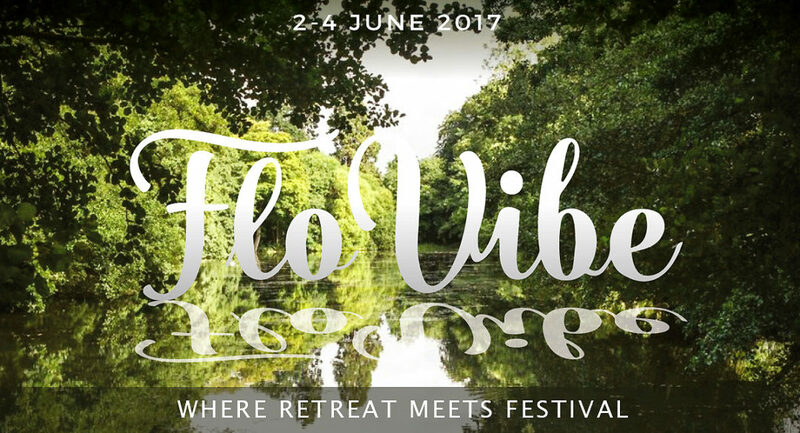 There will be a FloVibe village with lots of delicious food and even places to do a spot of shopping. The weekend ticket will include a place to pitch your tent (hey it’s a festival people) and for those who like to keep it glam and comfortable, there’s the Hotel Bell Tent who have it all done for you. Two lucky Ageless subscribers will receive a weekend pass worth £145 each!! This gives you entry for 2 days and nights, a free car parking spot and a place to pitch your tent. Music and lots of classes included. All instructions on how to enter in todays letter. If you’re not already subscribed to Ageless you have till Friday 5th May to sign up, in order to get the next letter of instruction that will be going out on May 6th. Winners will be announced May 13th. I haven’t been to a festival in years so am beside myself with excitement. Fleur is much cooler than me so she’s an old hand at all this. Now we just need the sun to shine and the rain to keep away. And Kate Moss if you’re reading this honey, please can you DM me and tell me what to wear?? Firstly, congratulations on such a great website!I have only recently discovered Ageless and as a 57 year old who is keen to remain ageless I think this is fabulous, full of great information and ideas and i have just purchased collagen shots on your recommendation! I have subscribed to Ageless (twice) but don’t seem to be receiving the letters. I would really love to take part in the competitions, especially this current one! Thanks Tracey, so happy to hear you’re enjoying the site. When you subscribe you should get a confirmation email which I think you have to click on? If you don’t get that then for some reason it’s not going through. Could you try again and then perhaps check your junk mail? I hope you’re now receiving them? If not (they come out fortnightly, then your subscription process may not have been completed in which case could you have another go? Thanks for letting me know. I haven’t heard this from anyone else but will get my website guy to check it out.